The knowledge about cesium metabolism and toxicity is sparse. Oral intake of cesium chloride has been widely promoted on the basis of the hypothesis referred to as “high pH cancer therapy”, a complimentary alternative medicine method for cancer treatment. However, no properly confirmed tumor regression was reported so far in all probability because of neither theoretical nor experimental grounds for this proposal. The aim of the present review was to resume and discuss the material currently available on cesium salts and their applications in medicine. 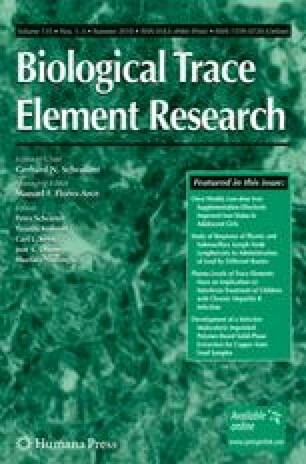 The presence of cesium in the cell does not guarantee high pH of its content, and there is no clinical evidence to support the claims that cancer cells are vulnerable to cesium. Cesium is relatively safe; signs of its mild toxicity are gastrointestinal distress, hypotension, syncope, numbness, or tingling of the lips. Nevertheless, total cesium intakes of 6 g/day have been found to produce severe hypokalemia, hypomagnesemia, prolonged QTc interval, episodes of polymorphic ventricular tachycardia, with or without torsade de pointes, and even acute heart arrest. However, full information on its acute and chronic toxicity is not sufficiently known. Health care providers should be aware of the cardiac complications, as a result of careless cesium usage as alternative medicine. Sources of support—FUNDECT (Brazilian agency).